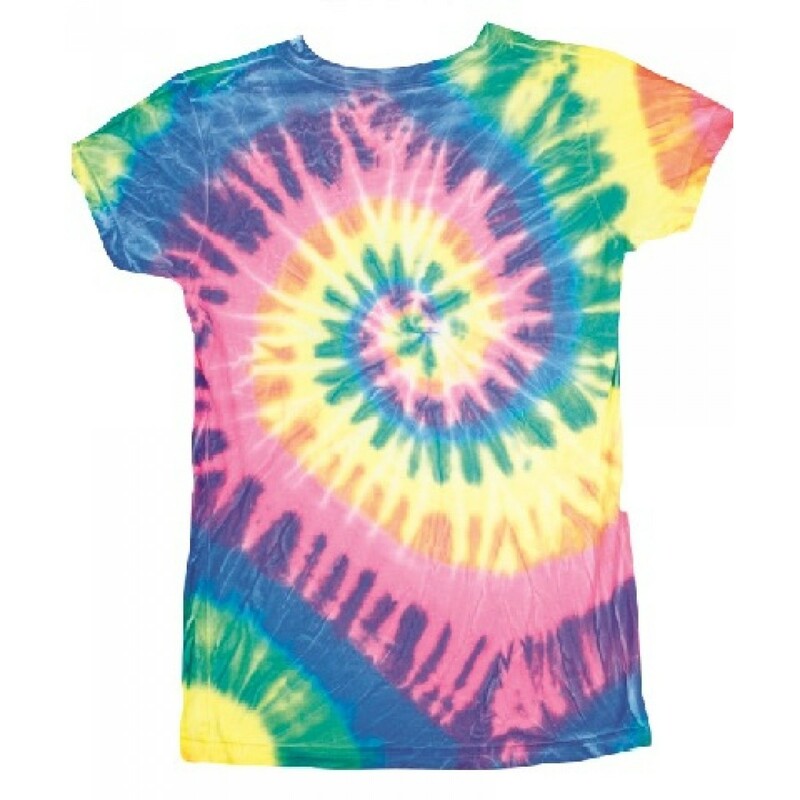 These Multi-Spiral women's tie dye shirts are a great way to feature your logo or design. 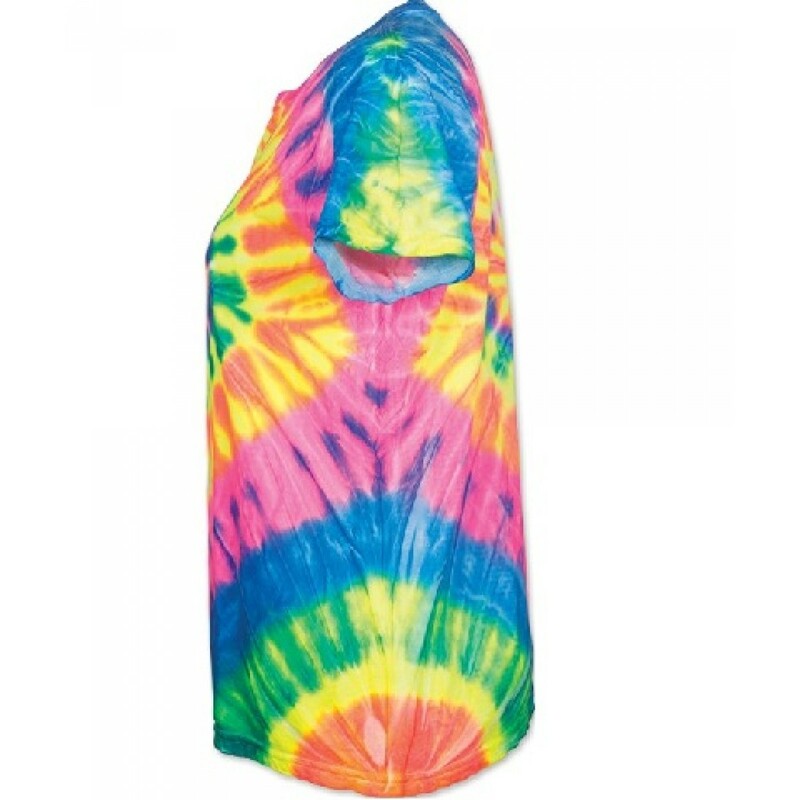 Michelangelo and Aerial color ways are dyed with reactive dye. Neon is dyed with pigment dye. 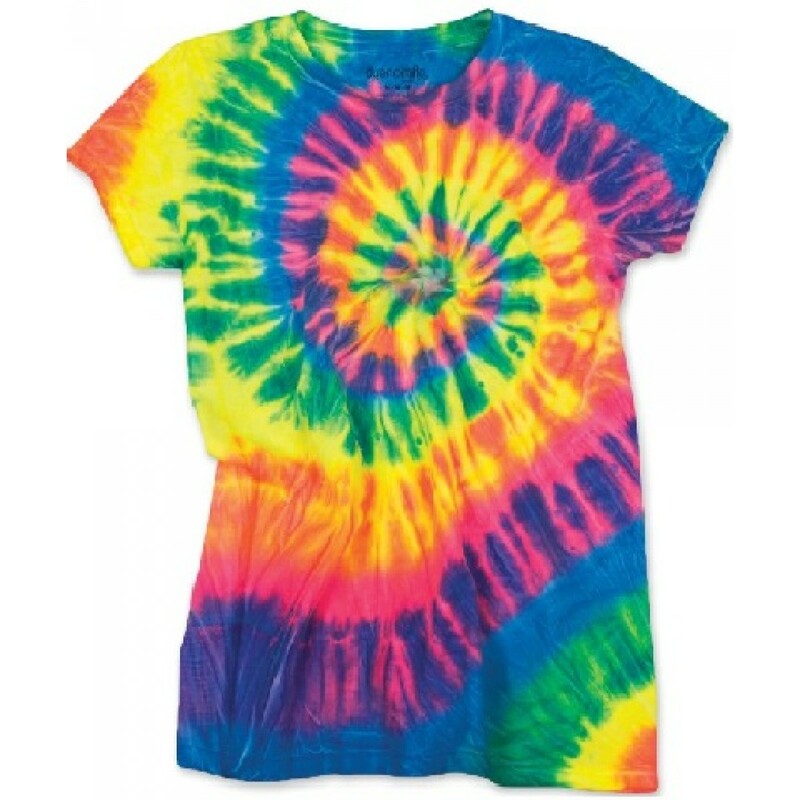 These Multi-Spiral women's tie dye shirts are a great way to feature your logo or design. Michelangelo and Aerial color ways are dyed with reactive dye. Neon is dyed with pigment dye. 100% cotton 4.5 oz.